This week marks an exciting time in my career as an entrepreneur. My first employee began work today. I would be lying if I didn’t already know and trust her, but I am excited and nervous and happy all the same. Hiring has been an interesting process for me – as I made the realization that I needed help only recently. I’m already a one-woman-show doing all aspects of my shoe business work (other than financials, which my father has graciously taken over and the post-office runs for shipping, which my mother thankfully does without complaint). But I needed something else. More than logistics and back-end work. I needed someone to market me. 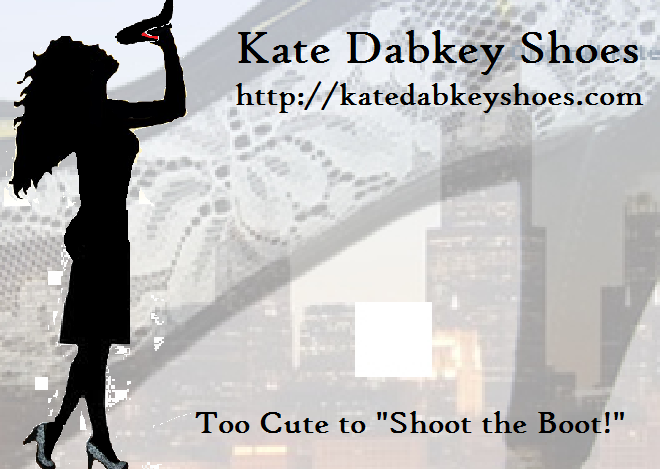 An unbiased perspective that could report on shoes and fashion and Kate Dabkey Shoes. The best part about my new hire is that she has flexibility in her hours, when during the day she works and what works best for her. She is pretty much full reign, provided she gets her objectives completed on time. This method to “managing my team” was an awesome day provided by Gary Vaynerchuk, who wrote, “The Thank You Economy.” I loved his thoughtful advice, his superb examples and his crazy methodology. It works. When employees are happy, they work better and they work smarter. Welcome to the company, Kristie! I’m so sorry it has been so long since I have shared my life with everyone! Needless to say, things are always changing in life and new challenges present themselves at the most interesting of times. First, let me point out that nothing rocks the office boat like someone leaving your company. It’s especially devastating when it happens unexpectedly and your company is small. Second, I should comment that yoga is slowly saving my life. I tried it at the recommendation of a close friend and am now obsessed with it. I cannot have a good week unless Monday evenings are filled with yoga. My teacher is obnoxiously gorgeous and fit and equally obnoxious in that she is the happiest person I have ever met. Even with these two “flaws,” I adore her. She has been MIA from class for a couple of weeks and it’s just not the same. You know when you get to know someone doing something that means a lot to you? Maybe it’s a frightening event or a time where you cry and you don’t mean to… you feel a connection with them. That’s how I feel about my yoga teacher. I hope she returns next week. I’ve also been working on shoes. I love shoes so much and designing them brings me great pleasure and a sense of accomplishment. I recently posted a picture of one of my newest designs, which I am extremely pleased with. I received pictures of another design that will soon be revealed, when the tweaks I have requested have been made. Lastly, I must discuss a wonderful book that I am reading that makes me heart very happy. It is the perfect release when the rest of my life is moving so quickly. 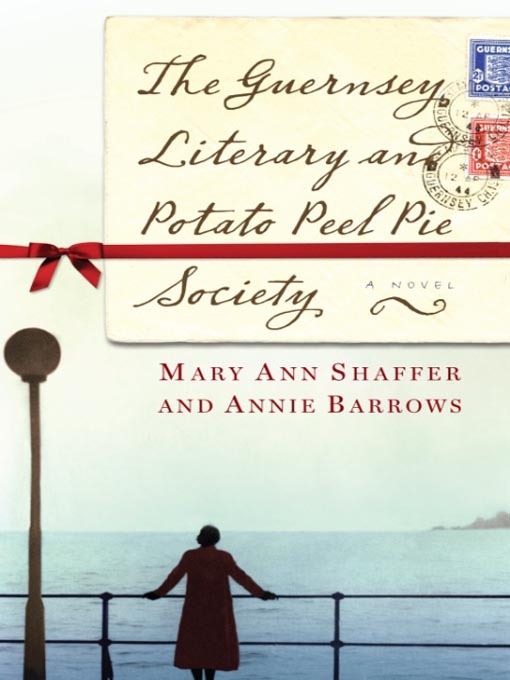 It is called, “The Guernsey Literary and Potato Peel Pie Society.” I highly recommend it. 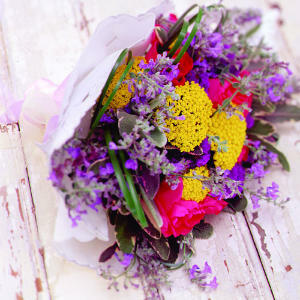 It’s a newer, more modern story than the classic love stories like Pride and Prejudice. 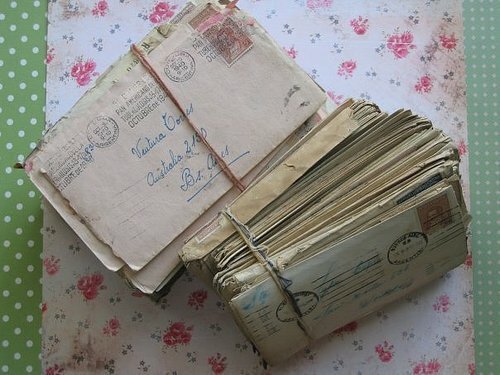 The entire book is letters written between the main characters and what happens in their lives after World War 2. A wonderful read! I apologize again for my absense. It won’t happen again! As many of you are aware, I work for an IT Company that is always providing new technology services. You know those commercials, “To the Cloud!”? We’ve been using Cloud Computing for almost 12 years. I know! Why am I telling you this? Because I consider myself to be someone who is “into” technology. Not just for businesses either, I LOVE gadgets (This, I think, I get from my father) and other technologically advanced things that make my life easier and happier. So I was recently reading some magazine (I can’t remember which one because I read so many) and it had a list of cool gadgets that can help you with a variety of things. I thought I’d make my own list of items that I think are awesome, and I’ve tried them… so I know the pros and cons! (2) Love swimming but miss the tunes? If you are like me, and NEED music to move your body, try out a waterproof mp3 player. www.speedousa.com has an awesome one that connects to your goggles and is completely waterproof. The headphones clip around your ears so they won’t fall off and it has all of your basic functions… including 1 GB of memory for your favorite bust a move songs. Downsides: None that I have found yet. (3) On the music note… many of you may have heard of this, but I’m sharing just in case it’s news. www.pandora.com let’s you create your own music stations and plays music “similar” to your interests. You have the option to “like” or “dislike” songs so that they will play them more or less. Also exciting, if you “dislike” 2 or more songs by an artist, they stop playing that artis (Thank GOODNESS I don’t have to list any more Keith Urban!). Downsides: They only give you 40 hours of music per month for free. Don’t forget to pause it when you’re not listening so you don’t waste them! (5) Love the manicure, hate the same ‘ole? Try Sally Hanson’s stick on nails. They have fun patterns like zebra print and lace and are really easy to use. Literally, match up the size, peel off the backing and stick it on to your clean nails then file off the access. They last for a good week or more and they look really cool. Some of the patterns are a little wild for my taste, but wear what you feel! They come off with normal nail polish remover. What will that Sally think of next!? Hope you guys check some of this stuff out. If you have other cool suggestions for gadgets or other things that make our lives easier, please feel free to share! Ever heard of a bucket list? Jack Nicholson and Morgan Freeman popularized this in a movie released some years back. Well, the members of my family have always carried one of these around with us, reminding us of all of the things we want to achieve in our lifetime. Do you have one? My list includes a few exciting, a few dangerous and a few “usual” activities to include on this sort of the list. The best part is that I keep adding to it, so that it never ends. I’ll be 312 years old before I complete all of the things on my list. And being 312 may make “Being Miss America” a little difficult. I’m just kidding, I could totally pull it off… I wear sunscreen every day. I always make Resolutions for each year, but the Bucket List is more complex than saying you’re going to lose weight and not doing it. (Thank goodness all of those resolutions makers are not at the gym anymore!) 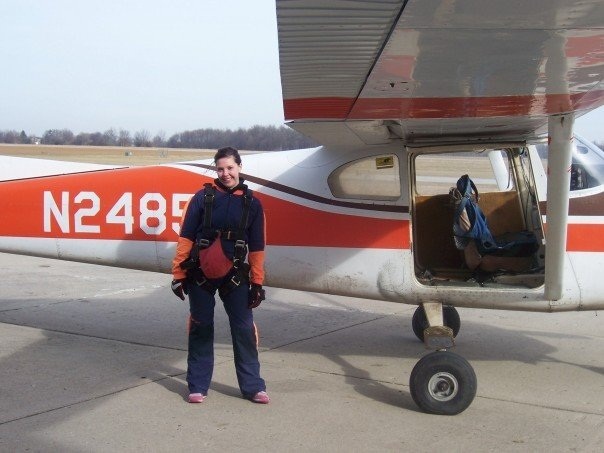 the Bucket List consists of all of your inner desires, things you are too embarrassed to admit you want to experience (Sing on Stage) or too scared to actually do (Skydiving). The feeling you get when you can actually cross one of these experiences/achievements off of your list is indescribable. So why the talk about the Bucket List? Because this past weekend I was reflecting on all of my lifetime goals, looking at my Vision Board and thinking about all that I want to do. Life is so short. Do I feel like pushing myself to do more and be better and achieve more things is worth it? What about the little stuff? What about raising money for a great cause or having tea and a pedicure with a friend and co-author or snuggling on the couch with a pet? Sometimes the little things can mean more, right? Do you know what “Shoot the Boot” means? I knew this term from college. It’s when you’re at a bar, and you pour a beer into your shoe (yes, the one you are wearing) and then drink it. Just describing it here is kind of making me gag a little. Why am I telling you this? Because I was given an opportunity to create a print ad for the Beerbin.com newsletter. If you haven’t heard of the site and you have certain beers that you like, check it out – it’ll show you all the places near you that serve your beer… but I digress. Working on my shoe company, designing shoes and creating new marketing materials and strategies are my most favorite creative outlets. So with the opportunity to create a fun ad for a beer newsletter, I embraced the opportunity. At first, I came up with something simple… my logo… some cute words to sell the shoes… Then I thought, “Who am I kidding? I’m marketing to a bunch of people who like beer!” So I changed my approach. And voila! The result! With all of my efforts, I have also finally worked out a deal with my manufacturer to get out MORE designs for LESS quantities. This is good news for my customers… well the customers who purchase their size before it’s gone! Literally, the next batch will feature 5 new designs, but I’ll have a very limited number of each shoe. This could get interesting.